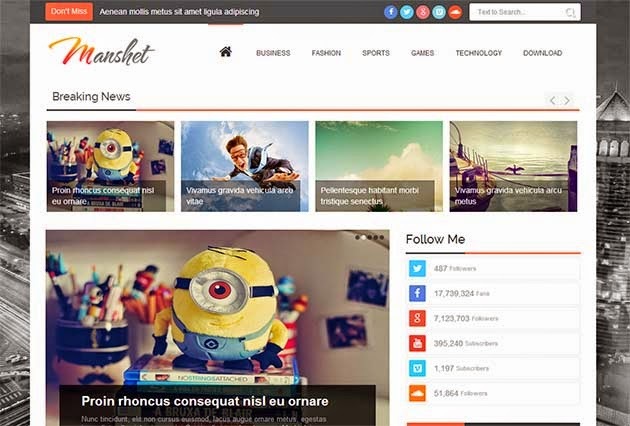 Manshet is a blogger template with responsive layout. This theme perfect for Search Engine Optimization. Its High User Friendly Blogger Template. Its perfect for News, Magazine or Reviews websites. Its comes with unlimited colors changing options.